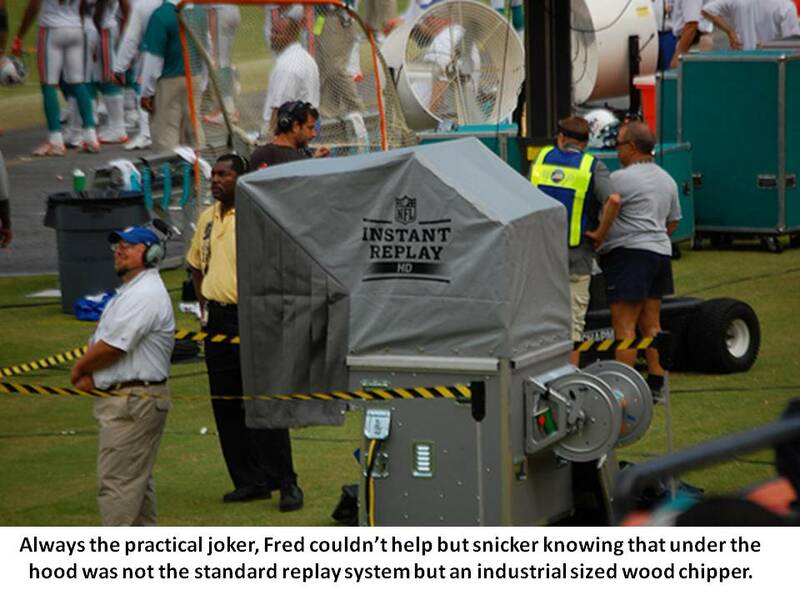 Someone in the NFL finally realized that their Instant Replay Review process was sorely in need of an overhaul. Not which plays are reviewed and why– but HOW the plays are reviewed. Someone FINALLY decided that the whole charade of a referee walking all the way across the field to a peep show booth on the sideline, putting on the Pauly D headphones and eating a sandwich under a tarp while reviewing a play was the MOST INEFFICIENT PROCESS IN THE WORLD. And this all starts AFTER said referee walked all the way to midfield just to announce to everyone that the play is going to be reviewed and that now would be a good time to pop in a Rosetta Stone DVD if you’re watching at home. Now that someone realized the error of their ways– it will be a slam dunk to revamp the process, right?